We have lost another legend. 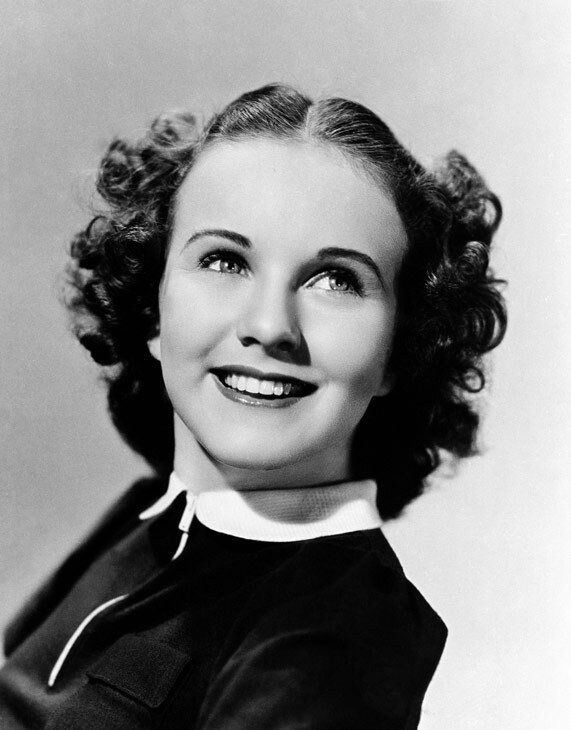 Deanna Durbin died a few days ago, in her Paris home at the age of 91. If I were to characterize Deanna Durbin in any way, I would say that she was like a bright comet streaking through Hollywood. She did not stay long–she left Hollywood for married life in France before her 30th birthday–but her presence is still talked about with wonder. She was a child prodigy and a genius, it is said that her young operatic voice has influenced such musical luminaries as Kiri Te Kanawa and cellist Mstislav Rostropovich. She was born Edna Mae Durbin, and came to Hollywood from her native Winnipeg, Manitoba, Canada, as a baby. She began singing lessons at the age of 10 and by the time she was 14 she was considered a prodigy, securing a contract with MGM Studios. Her first film appearance was in a 10-minute short called Every Sunday, opposite another unknown by the name of Judy Garland. She was soon transferred to Universal where she established herself as the darling of the lot and a musical force to be reckoned with. In late 1936, taken with Durbin’s talent, the artistic director of the Metropolitan Opera offered her a position with the company. Durbin did not take it, humbly asserting that she needed more singing lessons. But upon viewing her operatic performances on film, one certainly sees a seasoned singer of enormous capabilities. Her first two marriages ended in divorce, but upon marrying producer Charles David, and after only 26 movies, she left Hollywood abruptly and moved to Paris. She had always disliked the studio system and fiercely defended her privacy through the years, maintaining almost complete anonymity after her marriage to David. Few knew her whereabouts, and only a select few people would receive answers to fan mail. I often considered writing Deanna, as I have a bit of a connection to her. My paternal grandmother, who died before I was born, was married to a record producing agent in the 1930’s and, for a time, lived across the street from Deanna Durbin. They considered each other close friends and confidantes, and often spent time together when Deanna was not at the studio. Though I don’t think they kept in close touch after my grandmother moved away, due to Deanna’s busy schedule, I often thought of writing to remind her of her friendship with my grandmother. I deeply regret not doing it now. I am glad that Deanna went her way, on her own terms, and without the hoopla that often accompanies celebrity deaths nowadays. It was quiet, personal, and befitting a woman who deserved our utmost respect. The most recent picture I have seen of Deanna, beautiful at any age. This entry was posted in Lara Gabrielle Fowler and tagged canada, deanna durbin, every sunday, MGM, universal, winnipeg. Bookmark the permalink. Yes, I wish I had more information about their friendship! I’m glad you liked the tribute, I think she had a perfect life. She was a big movie star for as long as she wanted to be, quit when she wanted to, and lived the rest of her life comfortably and in her own way. Who could ask for anything more?